Home FIBA Basketball World Cup 2023 Gilas Pilipinas Sports Top Global Searches Sport 2017 Update: FIBA Basketball World Cup Host 2023 goes to Philippines/Japan/Indonesia. Sport 2017 Update: FIBA Basketball World Cup Host 2023 goes to Philippines/Japan/Indonesia. 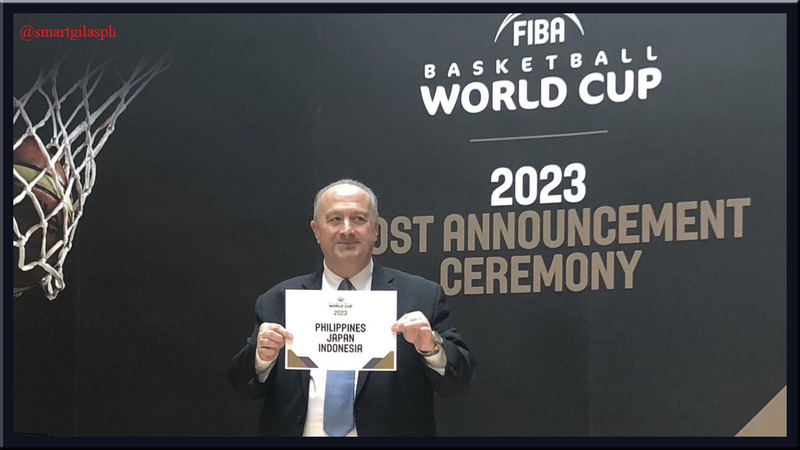 Philippines, Japan and Indonesia will host the FIBA Basketball World Cup in 2023! FIBA reveals the host of 2023 edition of the FIBA Basketball World Cup. We believe there are many reasons that our joint bid is the right choice for the FIBA Basketball World Cup in 2023. The bid from the Philippines, Indonesia and Japan offers FIBA an exciting opportunity to bring the sport's pinnacle event to the fastest growing region in the world, where our combined population of 500 million are ready to embrace the sport of basketball, where we will work with FIBA to realize the sport's vision of making basketball the most popular sports community - to have more people playing in more places, more often. Our bid has been designed with three central principles - simplicity, diversity, intensity. Simplicity: We have created simplicity in tournament design to make sure the athletes and our sport are the focus. Just five venues across three cities and competition venues located close to accommodation, media, medical and other key services, will ensure those attending the event can navigate Manila, Okinawa and Jakarta easily and efficiently. Diversity: A warm welcome is assured with our countries known for our hospitality, respect for cultural and religious differences, as well as experience as popular tourist destinations. Intensity: A FIBA Basketball World Cup in the Philippines, Japan and Indonesia will be hugely popular - sell-out stadiums, an electric atmosphere, and an explosion in the social media conversation. Philippine Arena, proposed to host the Finals, has a 55,000 seat capacity and will deliver a spectacle finale for basketball's greatest contest. (2) Hosting the FIBA Basketball World Cup is a chance to make history. It will unite our three countries, our region, and in so doing light the fuse that will ignite a passion for basketball around the world. Our sport already inspires many in the Philippines, Indonesia and Japan - this is a chance to reach even more people and to share our culture and our love of the game with the world. Continue Reading: FIBA Basketball World Cup 2019 Qualifiers: Gilas Pilipinas Score, Standings and Schedule Update!